Wilmington is a melting pot of creative souls and a place where creativity, free expression and an independent spirit is nurtured. An abundance of museums featuring signature exhibitions and galleries supporting local and regional artists complement our storied history and thriving arts scene. The Cameron Art Museum provides a cultural gathering place showcasing high-quality art exhibitions, the outdoor ART PARK with sculptures by Charlie Brouwer, Mel Chin and others, dynamic public programs, unique events and educational opportunities in the visual and performing arts. For an exclusive experience, sign up for a guided tour of the museum and enhance your visit with exhibition-inspired activities. 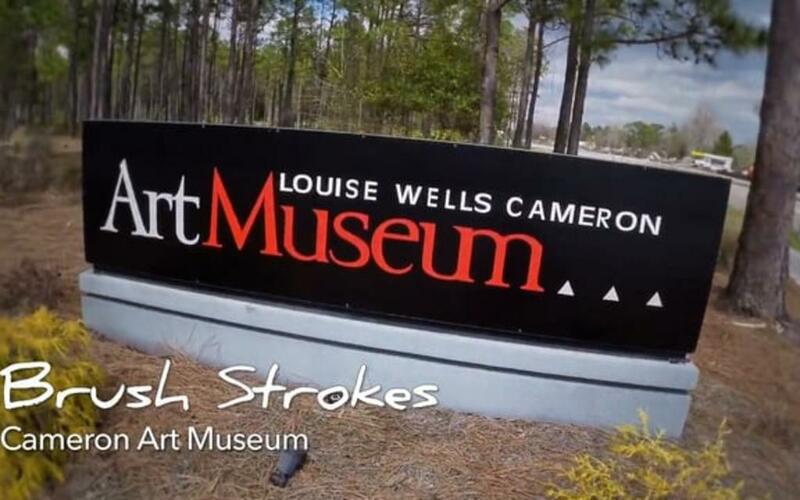 Make time for a stop at the Smithsonian-affiliated Cape Fear Museum of History and Science to see special exhibits and an extensive permanent collection highlighting the area&apos;s culture. Browse the Michael Jordan Discovery Gallery, see the skeleton of a 1.5 million-year-old Giant Ground Sloth and let the little ones investigate and play among the many hands-on exhibits. Tour a multitude of galleries showcasing original paintings, sculptures, blown glass and pottery during Fourth Friday Gallery Nights. These self-guided art evenings are a great way to visit multiple local galleries in one evening. Visit the Arts Council of Wilmington&apos;s website for a full list of participating galleries. In historic downtown Wilmington, ACES Gallery is an Arts Council Exhibition Space featuring monthly exhibits. Explore the indoor gallery and outdoor courtyard space full of local art at Art in Bloom Gallery. The Acme Art Studios arts community features 20 studios and an in-house gallery. These are just a few of the many local art galleries in the area. 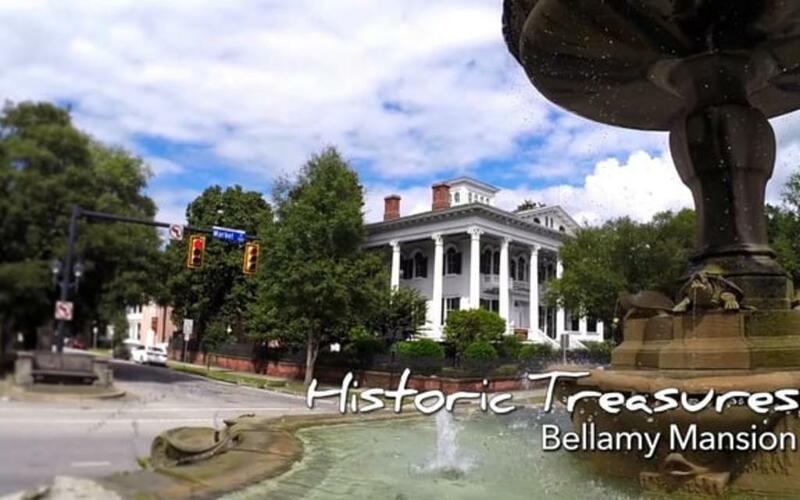 Stroll through the restored, antebellum-era garden on the grounds of Wilmington&apos;s architectural gem, Bellamy Mansion Museum of History and Design. Walk through one of the few preserved urban slave quarters in the country, originally built in 1861, then explore the former home of John and Eliza Bellamy. The Victorian-era Latimer House Museum, built in 1852, allows you to meander through fourteen rooms that are home to over six hundred objects, including marble statues imported from Paris, stoic portraits by the famed antebellum artist William Garl Browne, and dozens of nineteenth-century furnishings original to the home. Built in 1770, the Burgwin-Wright House and Gardens is the only structure in Wilmington from the colonial area that is open to the public. The pre-revolutionary home was built on a former city jail, where you can still see outdoor and sub-basement jail cells. 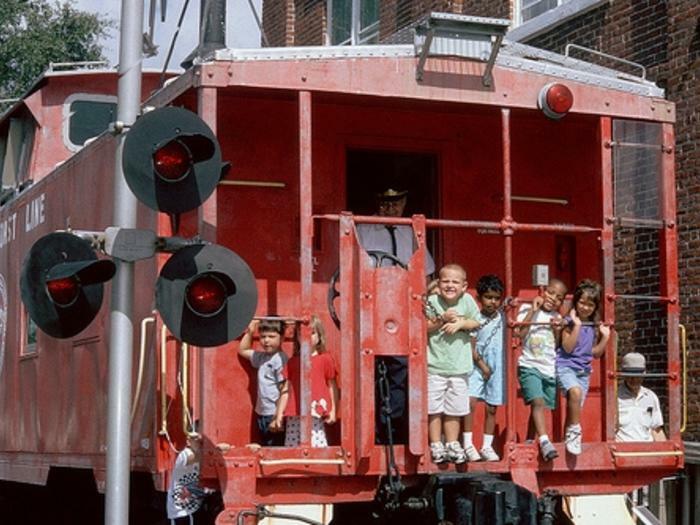 Children and adults alike love to explore the Wilmington Railroad Museum. Kids enjoy pretending to be conductors in the Thomas the Tank Train play area. Visitors are entranced by more than 20 operating scale model trains and can explore a real, life-size caboose, boxcar and 100-year-old steam locomotive. Learn as you play at the Children&apos;s Museum of Wilmington. Exhibits include age-appropriate science, math and art activities including the Dinosaur Dentist, Art Studio, The Science of You and more. Enter, if you dare, the Museum of the Bizarre where you can see the Crystal Skull of Knowledge, the Fort Fisher Mermaid and Alexander Hamilton&apos;s Hair among other oddities. The museum is also known for their fun and challenging Lazer Vault Maze. Wrightsville Beach Historic Square is a cultural attraction, home to the Wrightsville Beach Museum of History. 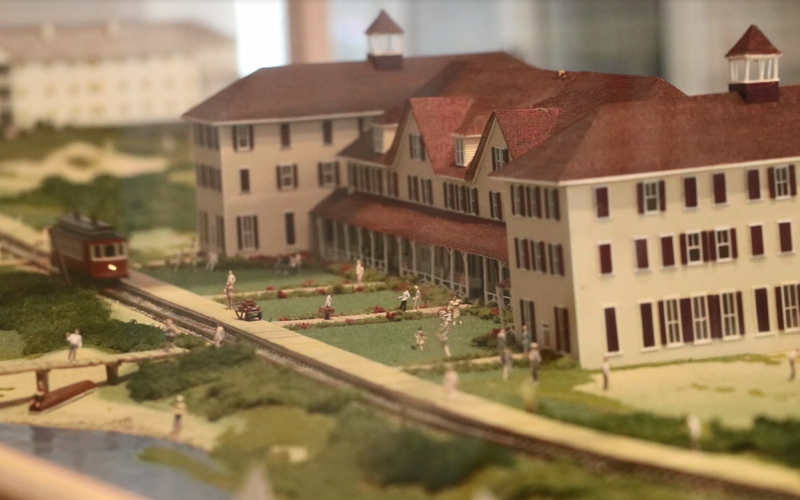 Step back in time to the 1900s to see exhibits like the History of the Bathing Suit, showcasing how swimsuit fashion has changed throughout the years, or marvel at the Beachfront Model showing Wrightsville Beach circa 1910, complete with roving trolley and the grand Lumina Station. Visitors to Kure Beach are surrounded by history and culture. Venture to the visitors center and museum at Fort Fisher State Historic Site to watch an informative video about the area and see exhibits and artifacts recovered from sunken ships. View the 16-foot-long Fiber-Optic Battle Map of the Federal Point Peninsula, showing three-dimensional models of Fort Fisher and the Battery as it appeared in 1865. 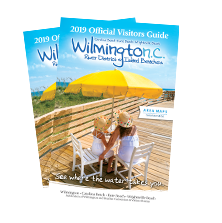 Wilmington is full of artistic expression and culture, featuring museums and galleries of all sizes. 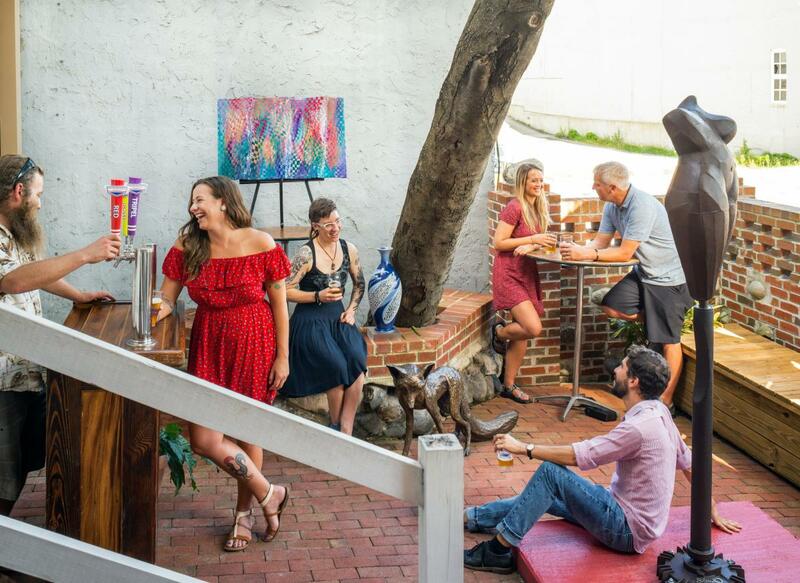 Take a self-guided tour of Wilmington's arts scene with location-specific audio of arts venues and Pedestrian Art public sculpture installations. A vibrant arts and culture scene offers year-round entertainment and events sure to be crowd-pleasers. From annual festivals to limited-time exhibits, find a list of events and exhibitions at our many museums.